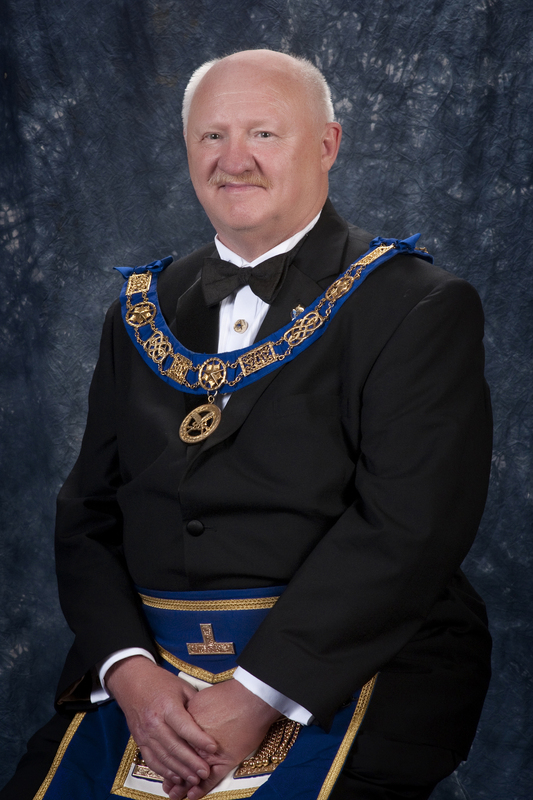 An interview with Grand Secretary Jerry W. Kopp. He discusses: falsehoods about the freemasons; truths to dispel the falsehoods; means of solicitation in relation to the freemasons; greatest lesson for the public to know about the freemasons; freemasons and the Catholic church; their current disagreement; differences between the freemasons, Jehovah’s Witnesses, and The Church of Jesus Christ of Latter-Day Saints; atheists and agnostics in relation to the freemasons; and conspiracy theories. Keywords: agnostics, atheists, Catholic Church, conspiracy theories, falsehoods, freemasons, Grand Secretary, Jehovah’s Witnesses, Jerry W. Kopp, The Church of Jesus Christ of Latter-Day Saints, truths. 14. …What falsehoods exist about the freemasons? I think falsehoods are that we’re devil worshippers. We’re a cult. We’re involved in conspiracies. It goes on and on. The first thing is the public needs to understand what we stand for. We stand for delivering and living by the principles of God. We have nothing against God in anyway, far from it. We’re not into devil worshipping or any of this. Conspiracies and overthrowing governments, we do not even time to organize ourselves as far as I’m concerned. Conspiracies, it takes a great deal of intelligence and time, and we’re all working people. We don’t have the time for that kind of nonsense. 15. What truths dispel them? Well, I think how to get rid of it is to let people of the public know what we really stand for. We stand for the individual mason, we give the lessons through our initiations and degree work and that you as an individual “you need to live this way and the way that God meant us to be.” Now, I can tell you that it’s your responsibility for that self- improvement. There’s a saying “we take good men and make them better men.” That to me is a fallacy, I give you the lessons and now it’s up to you to follow them through. I cannot improve you if you do not follow those lessons. It’s like taking the horse to the water. You can take them to water but you can’t make them drink. And it’s the same with Freemasonry. I can give you the lessons. Our priest, bishops and so on, can give the lessons, but now it’s our responsibility to go out and live by those lessons, to practise those lessons that we have been given. Does that make it clear? 16. Yes, I will draw one analogy. I request interviews with other Grand Lodges’ representatives, e.g. Manitoba, and so on. On some of the websites, I noticed the use of the phrase “making good men better…” Your solution to that is to draw it back to the individual’s own responsibility to manage themselves to become that better person. The lessons are there and provided. That goes to a larger point about the freemasons that differs from the Jehovah’s Witnesses or The Church of Jesus Christ of Latter-Day Saints. As far as I know, they will come to your door and solicit you. To the freemasonic lodges, it remains up to the individual to request possible consideration in joining. You got it right on the mark. We do not solicit. They have to come to us. If you want to become a Freemason, you come and talk to me or anyone that is a Freemason. And we will take the information and we may do some inquiries in the community. “What is this man like?” Whatever have you and we’ll say, “Okay, if you want to continue on with this pursuit, we’ll give you some documents.” And then we’ll run it past the membership in the Lodge and giving proper notice then we’re going to ballot on an individual, and if the ballot is approved then we will proceed with the ceremonies that requires you to become a full-fledged Mason in the hopes that you’ll carry on with the principles. 17. What remain the greatest lessons for the general public to learn about the freemasons? I think the greatest lesson that we have is to live by God’s principles, God’s Plan and it is a way of life. It is – God has given us the tools and here is the way of life and we all need to live by that. When we talk about living by those lessons we have to set aside if there is any prejudices with respect to race, creed, color, religion, you name it. We need to all work together and live together and make this a happy world. 18. An uneasy relationship exists between the freemasons and the Roman Catholic Church.,The Roman Catholic Church does not agree with freemasons. What seems like the source of this tension and outright rejection to you? I think it goes back to some of the Papal Bulls. I think it goes back to some of the misunderstanding. I don’t think there are people within the Roman Catholic Church or other churches as far as that goes, that understand what our teachings are. We have in the past – and you know, let’s put it this way, there have been Roman Catholics and Roman Catholic Priest and Roman Catholic Bishops that have been Freemasons. We know that. I know having spoken to a Roman Catholic Priest from Spokane, Washington here in Calgary, I mentioned to him that I’m a retired Mounted Policeman, but that I’m in another job. And I said, “I don’t know if you’ll agree with me and the job that I’ve got, but I’m the Grand Secretary with the Freemasons.” And he jumped with joy. He thought the Freemasons were the greatest guys going. What I think it is, I think there are some people – they always want to put a myth or something negative toward any organization that isn’t spun off from their Church. With them not understanding and what we stand for, that’s where the issue lies, and we have people that will say, “Well you cannot belong to this church anymore because you are a Freemason. And the individual doesn’t know what a Freemasons is. I think there’s a lack of education out there with respect to Freemasons. 19. Where does this current disagreement lie? Well, I don’t know with the current Pope, what his position is. I can tell you that John XXIII had no problem with the Freemasons. I can tell you Pope Paul, I don’t remember what his number was, he was after John, there was nothing really mentioned. John Paul II, I don’t know what position was, but I know that Pope Benedict had a total disrespect, a total dislike, for the Freemasons. Prior to him becoming Pope, he wrote a big paper about Freemasons and saying, “They’re evil” – and whatever have you. I would suggest that the current Pope, I like the current Pope Francis, the disposition that he has and the thinking that he has, we probably fall right in line with him. It is because he’s a Jesuit? I don’t know. I’d like to learn more about Pope Francis. Eventually, maybe, we’ll see something come out from his office, it’s hard to say, but know for sure that Pope Benedict didn’t like us. 20. Something, as far as I can discern, unique to the freemasons emerges out of their insistence on the free will of the individual to inquire or join the freemasons. A far different approach than Jehovah’s Witnesses or The Church of Jesus Christ of Latter-Day Saints, where these groups tend to come door-to-door. How does this emphasis on the freedom of the will for the individual to inquiring or joining freemasonry link to its fundamental principles? It probably – the fact that you come of your own free will and accord is one. The Fact that the Creator has given you the leeway of allowing yourself to be free and think for yourself, and to do whatever you see would be correct in the eyes of the Creator. That you don’t necessarily need to be guided by God’s will constantly. I don’t know what else to say. You’re not controlled. That’s the bottom line; you’re not controlled and not being pestered to join the Fraternity much as you say with the Jehovah’s Witness and the Church of the Latter-Day Saints. Interesting enough, the Church of the Latter-Day Saints, they do have Freemasons. Utah is a good example of it. There are many Mormans in Utah and well there are a lot of Masons down there. And I know a few Masons that are Freemasons and they are good Masons. They’ll tell you there’s nothing against the teaching of Freemasonry that goes against any aspect of the Church of the Latter-Day Saints. Now, I’m not aware of any Jehovah’s Witnesses being in Freemasonry, but maybe one day there will be. And as long as he believes in a Supreme Being or God – God or a Supreme Being it doesn’t matter. God is the Supreme Being, Supreme Ruler or Supreme Architect. 21. What status do those of, for instance, an atheistic or agnostic stance hold within the freemasonic tradition? We do not accept people that are atheists. We make that quite clear. They have to believe in God, or again the Supreme Being. 22. Conspiracy theories and theorists glom onto freemasons. Sometimes without distinctions between the Scottish Rite, Ancient Arabic Order of the Nobles of the Mystic Shrine(the “Shriners”), Order of the Eastern Star, the Order of DeMolay, the Order of Builders, the Order of Job’s Daughters, the Order of Rainbow, and others, or even a modicum of connection to the natural world. What seems like the foundation of this phenomena to you? Well I don’t belong to many of these organizations. But I do see them – that their principles are the same. They probably do an extension of the teachings of God. They might go into another area. They might go into the building of King Solomon’s Temple. They might go into an area – there’s the Red Cross of Constantine which is an invitational body, there you have be a Christian. They teach on the Christian side. What we’re looking at in Freemasonry it the teachings which fall in line with The Bible or the Holy Writings. It doesn’t matter what religion you’re dealing with. Eventually, Freemasonry extends into Christianity in the order. But these are bodies that in the base of Freemasonry which is Craft Masonry, which I belong to. For further teachings or for further development of the Creator, God’s teaching which may be taught in other Freemasonry bodies. Maybe not so much in the Shrine, they’re kind of the happy-go-lucky boys. They all have to belong to the Craft. The way their Constitution and Regulations read right now. Whether they’ll ever be separated from us, I don’t know. I don’t think they really teach a whole lot of the lessons about the Creator. They’re more of charitable organization. They’re a charity organization and that’s where they will likely remain and focus on charity. Again, conspiracy theories, it’s only speculation on the part of those that don’t understand the various bodies of Freemasonry or the extensions or its associated bodies. I don’t see where there’s any conspiracies at all with any of these Masonic Bodies or Orders. Again, the armchair quarterbacks that sit back and try to come up with theories that try to discredit somebody. That’s what these conspiracy people do. They’ll say “They’re devil worshipers.” Which they’ve done with the Shrine and others. If they understood the scope of the teachings within Freemasonry they may change their views. First publication on November 15, 2015 at www.in-sightjournal.com. American Medical Association (AMA): Jacobsen S. An Interview with Grand Secretary Jerry W. Kopp (Part Three). In-Sight: Independent Interview-Based Journal [Online]. November 2015; 9(A). Available from: https://in-sightjournal.com/2015/11/15/an-interview-with-grand-secretary-jerry-w-kopp-part-three/. American Psychological Association (APA, 6th Edition, 2010): Jacobsen, S.D. (2015, November 15). An Interview with Grand Secretary Jerry W. Kopp (Part Three). Retrieved from https://in-sightjournal.com/2015/11/15/an-interview-with-grand-secretary-jerry-w-kopp-part-three/. Brazilian National Standards (ABNT): JACOBSEN, S. An Interview with Grand Secretary Jerry W. Kopp (Part Three). In-Sight: Independent Interview-Based Journal. 9.A, November. 2015. <https://in-sightjournal.com/2015/11/15/an-interview-with-grand-secretary-jerry-w-kopp-part-three/>. Chicago/Turabian, Author-Date (16th Edition): Jacobsen, Scott. 2015. “An Interview with Grand Secretary Jerry W. Kopp (Part Three).” In-Sight: Independent Interview-Based Journal. 9.A. https://in-sightjournal.com/2015/11/15/an-interview-with-grand-secretary-jerry-w-kopp-part-three/. Chicago/Turabian, Humanities (16th Edition): Jacobsen, Scott “An Interview with Grand Secretary Jerry W. Kopp (Part Three).” In-Sight: Independent Interview-Based Journal. 9.A (November 2015). https://in-sightjournal.com/2015/11/15/an-interview-with-grand-secretary-jerry-w-kopp-part-three/. Harvard: Jacobsen, S. 2015, ‘An Interview with Grand Secretary Jerry W. Kopp (Part Three)’, In-Sight: Independent Interview-Based Journal, vol. 9.A. Available from: <https://in-sightjournal.com/2015/11/15/an-interview-with-grand-secretary-jerry-w-kopp-part-three/>. Harvard, Australian: Jacobsen, S. 2015, ‘An Interview with Grand Secretary Jerry W. Kopp (Part Three)’, In-Sight: Independent Interview-Based Journal, vol. 9.A., https://in-sightjournal.com/2015/11/15/an-interview-with-grand-secretary-jerry-w-kopp-part-three/. Modern Language Association (MLA, 7th Edition, 2009): Scott D. Jacobsen. “An Interview with Grand Secretary Jerry W. Kopp (Part Three).” In-Sight: Independent Interview-Based Journal 9.A (2015):November. 2015. Web. <https://in-sightjournal.com/2015/11/15/an-interview-with-grand-secretary-jerry-w-kopp-part-three/>. Vancouver/ICMJE: Jacobsen S. An Interview with Grand Secretary Jerry W. Kopp (Part Three) [Internet]. (2015, November); 9(A). Available from: https://in-sightjournal.com/2015/11/15/an-interview-with-grand-secretary-jerry-w-kopp-part-three/.